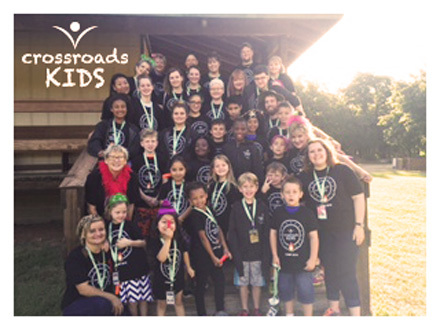 On September 23rd, 2016, we embarked on a journey of healing with an amazing group of children and their families. Our team members get the children and families checked in, ready to go, and help them get situtated for the night. It's a big day tomorrow! We're up and at 'em! 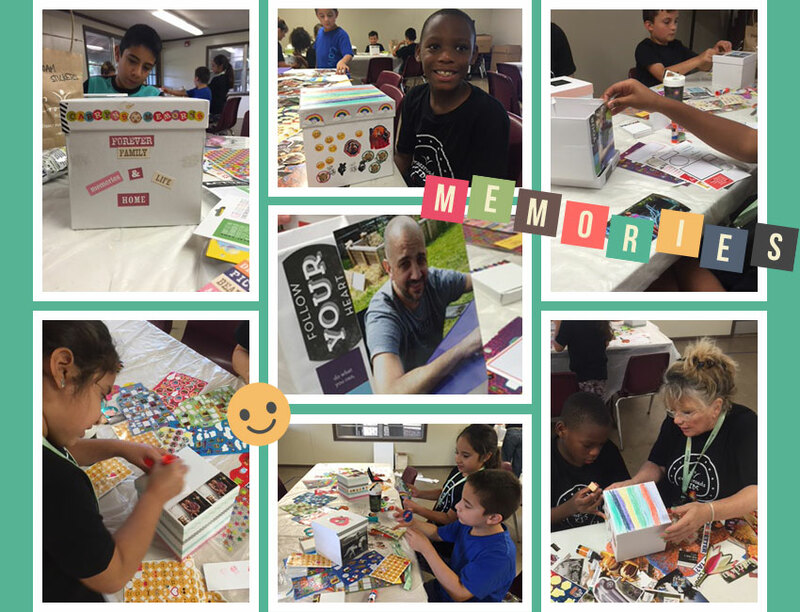 Campers' first activity of the day is making memory boxes. The childrens' memory boxes hold keepsakes and precious memories of their late loved ones. Get ready! 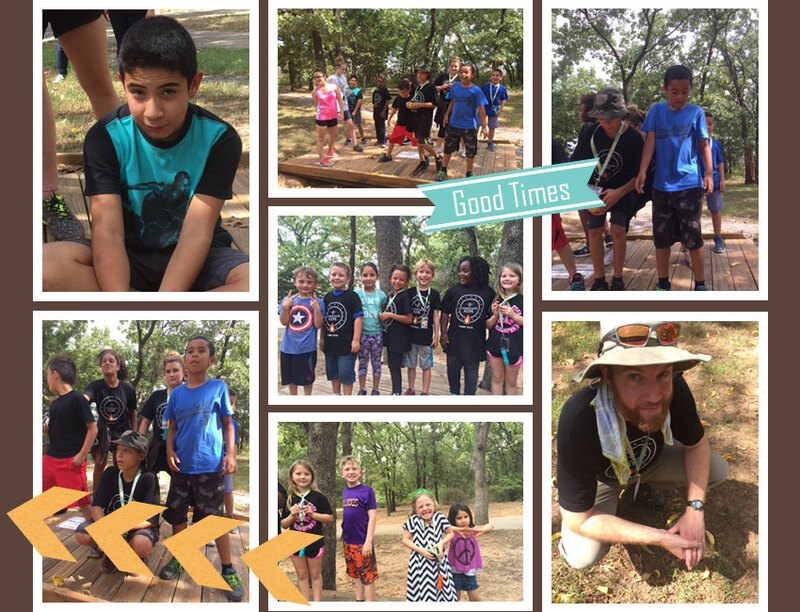 It's time for the challenge course! Working with others, building trust, and learning that any challenge in life can be overcome together is what it's all about. 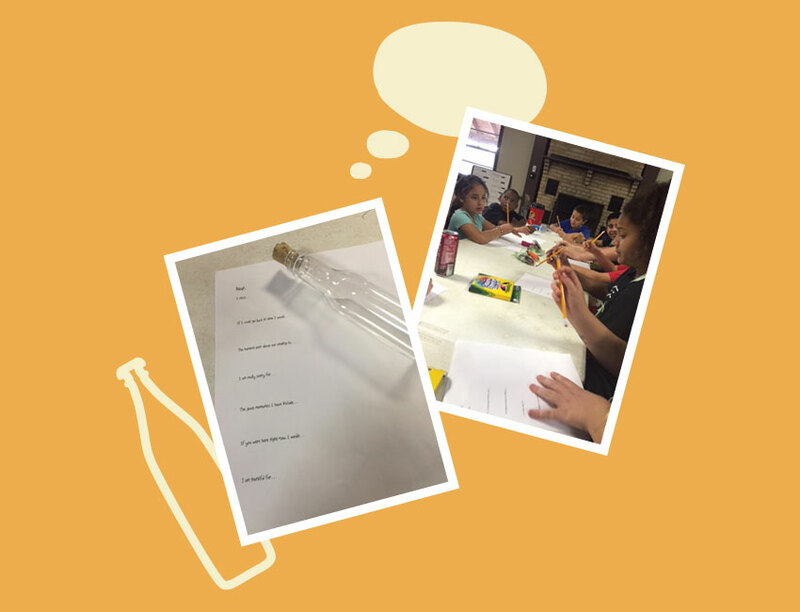 Thoughts not spoken and words left unsaid — our campers craft messages in a bottle to their deceased loved ones, letting them know how much they will always love them and hold their memories dear. Whew! After a long day of learning and creating, it's nice to take a breather. What better way to chill than in classic hammock style? We wind down Saturday with a luminary release ceremony. 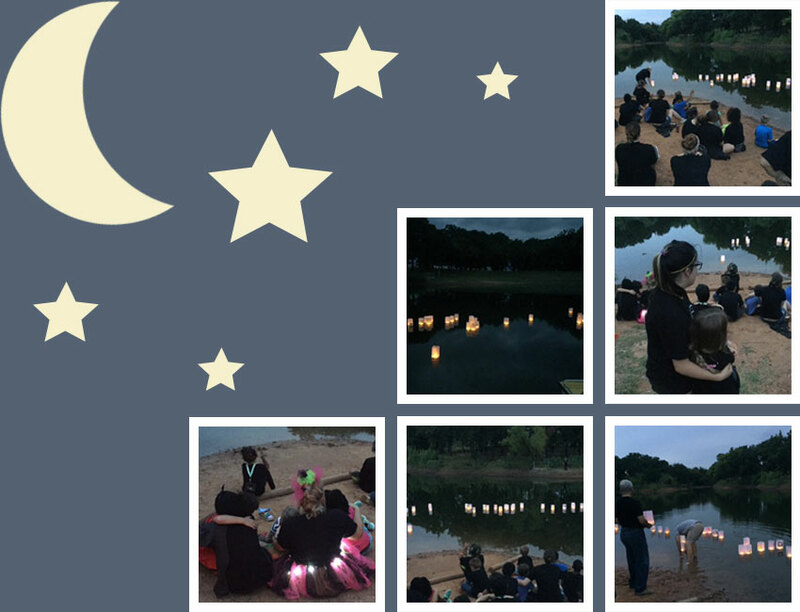 Each child, with luminary in hand, shares something special about their loved one's life, memory, and how they will forever be in their hearts. Parents, grandparents, aunts, uncles, and other significant adults in our campers' lives join us for a live arts n' crafts show and tell! 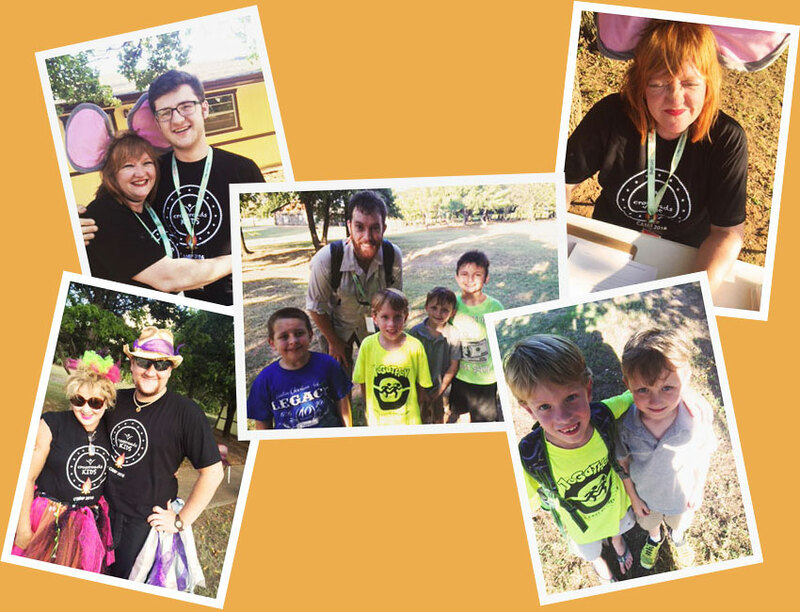 Our campers are proud as peacocks showing off their beautiful creations! 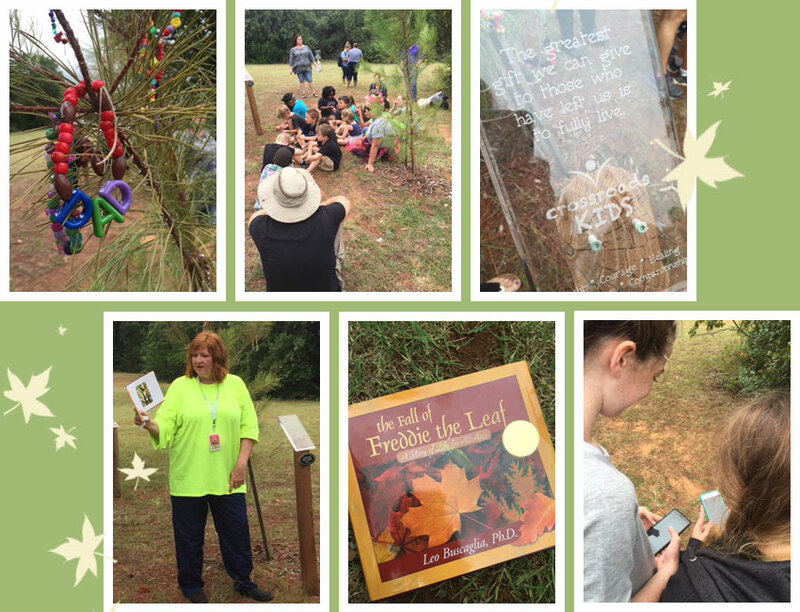 In our closing ceremony, our campers adorn the trees in our Memory Forest with braclets they made in their loved one's honor. We end the ceremony with a reading from The Fall of Freddie the Leaf. We're so thankful to our donors who made all of this possible. Your gifts help us give grieving children and their families a safe place to learn, heal and grow after the death of a loved one. We'll see you next time!